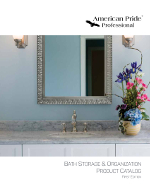 Our printed catalogs are available here in PDF format. Click on your choice below to open the file. From there you can view, print or save a copy to your computer. Please note the files sizes and that it may take a few minutes to access depending on your internet connection speed. Note: Adobe© Reader required to view and print above brochures.